Do We Take the Games Industry Seriously? Yesterday (February 1st) the Livingstone-Hope Skills Review was published. Don’t feel bad if your response is “Livingstone-who?” It didn’t receive a huge amount of publicity. On the same day, Pfizer announced the closure of its main research facility in the UK to an avalanche of Press concern. Now, of course I’m not suggesting that Pfizer’s announcement shouldn’t have been given the prominence it was afforded. It is a very serious matter for British science as a whole. But let me tell you why I think the Livingstone-Hope Skills Review matters. First, it’s about the UK Video Games industry, the fourth largest in the world. Who knew? Not many people according to Livingstone and Hope. In fact, only 3% of young people realised that ‘Grand Theft Auto’ is a UK-produced game, version IV of which, by the way, grossed $500M world-wide in its first week, three years ago. Perhaps worse still, only about a fifth of their teachers in the relevant subjects (mathematics, science, ICT and art) were aware of this. Physics, in particular, is central to games development, which less than 5% of this group of teachers appreciated. In 2009, the UK games industry as a whole had a turnover just shy of $4 billion and, at that stage, was expected to grow to around $5.3 billion by 2014. Livingstone and Hope think that could be improved by around 10% with careful husbanding. Computer science, not just ICT, must be part of the school national curriculum. Young people must be given more opportunity to study art and technology together. Higher Education Funding Council for England (HEFCE) should include industry-accredited specialist courses in video games and visual effects in their list of ‘Strategically Important and Vulnerable’ subjects that merit targeted funding. What do you think? We need to hear your views so that we can develop appropriate policies to present to Government and Industry bodies. 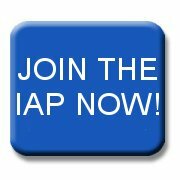 Go to the IAP’s LinkedIn group to let us know. That’s only available to IAP members, of course. But other interested parties are welcome to contact me with their thoughts at eo@iap.org.uk. 1 comment to Do We Take the Games Industry Seriously?